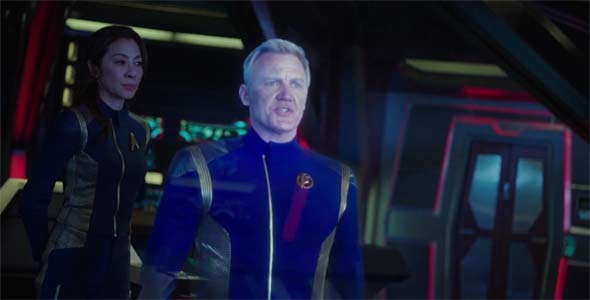 And in the interests of fairness to the new Star Wars movies, I also can't neglect to mention the problem that the Discovery premiere had with distance. After Rogue One, I wrote an essay about the apparent lack of respect that Disney has for the size and scale of the Star Wars universe. The writers of that movie used Star Wars' hyperspace as a narrative crutch to allow instantaneous communication and travel, which allowed Rebels ships to appear out of nowhere on two separate occasions to bail out the heroes and save the day, thus eliminating any dramatic tension in a movie in which we already knew the outcome anyway. Well, Star Trek: Discovery makes the same glaring mistake. At the end of the first episode, the Klingon bad guy T'Kuvma lights a giant space beacon, and the heads of all 24 Klingon houses warp in within a few minutes from wherever the heck they were in the galaxy. So this beacon of light didn't take years to travel the light-year distances between stars? And ships from all corners of the Empire were able to drop whatever they were doing and warp in within two minutes flat? Were all the leaders of these supposedly-feuding Klingon houses just in the neighborhood when the beacon went up? Unlikely. None of them happened to be on the john, or having nuptials with their spouse, or killing some random bloke in honorable combat? Ugh. the Klingon and Starfleet ships all warp in within minutes of being summoned. Oh, and what's worse, is that now Vulcan telepathy can apparently cross the voids of space and allow Sarek to telepathically communicate with Burnham in real time, despite light-years of separation. Pretty sure this is something that used to require a Vulcan to be in physical contact with the other person! It's bad enough that communication across light-years is immediate (Burnham calls up Sarek in the middle of the first episode, even though she's on the frontier and Sarek is on Vulcan). So in this show that should be about exploring the frontiers (and discovering what's there), there is absolutely no sense of distance or isolation. 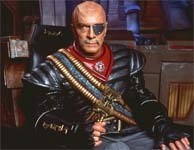 Anyway, as for the Klingons themselves, I was also a bit putt off by the Klingon makeup and designs. 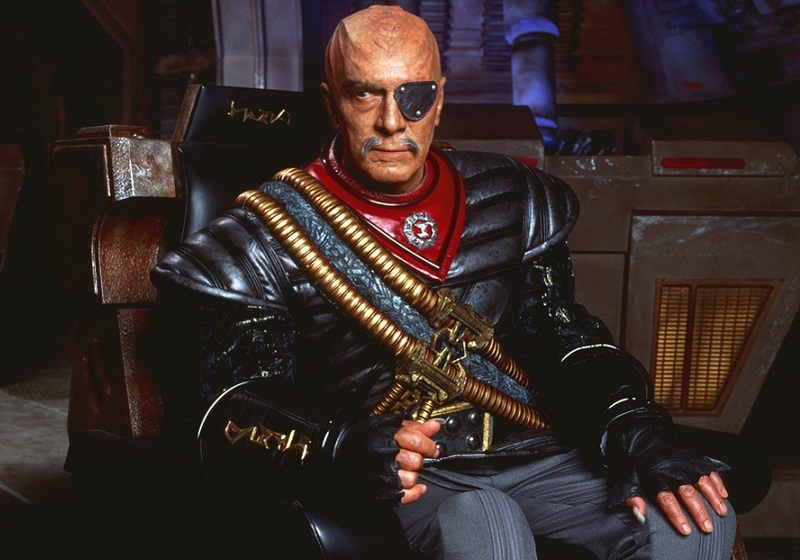 In CBS's defense, Star Trek has a long-established history of not knowing what the hell a Klingon is supposed to look like. The Deep Space Nine episode "Trials and Tribulations" even made a joke about this that turned the change in makeup into an actual canon difference in the race's appearance within the fiction of the show. Then Enterprise had to go and screw the joke up by specifying that it was a genetically-engineered virus gone amok. 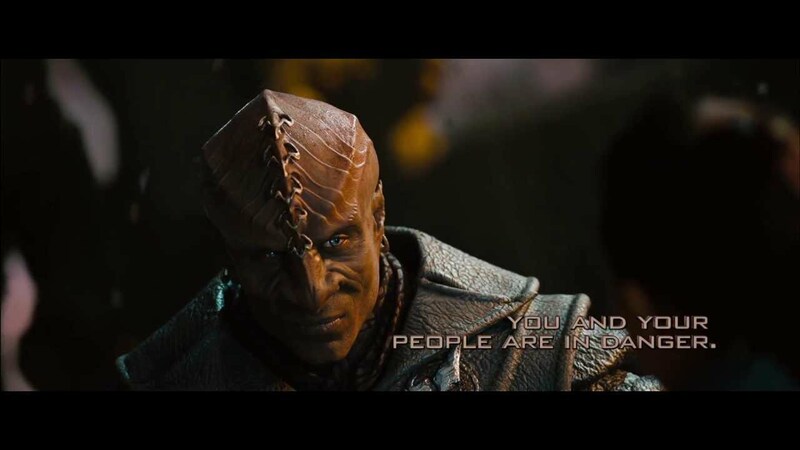 The reboot movies even turned this into a joke by filming scenes of Klingons wearing masks to deliberately conceal their faces and leave people wondering "what will the Abrams-verse Klingons look like?". 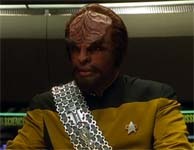 Even the character of Worf had different makeup and prosthetics over the course of TNG and DS9. 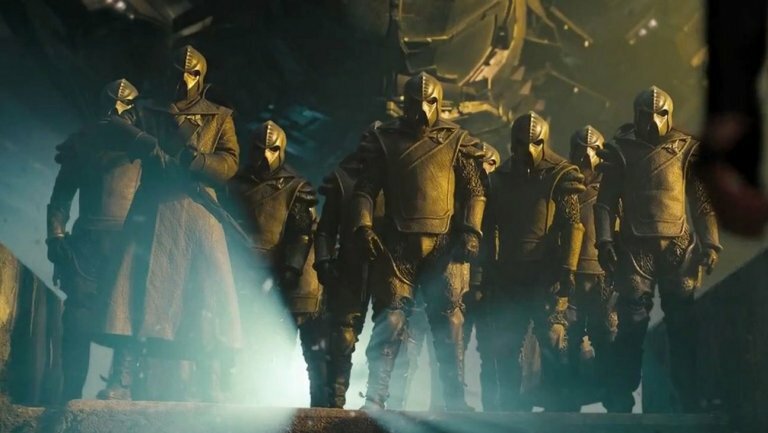 I'm OK with making superficial or aesthetic design changes, but these Klingon cultists and their ships do not look at all recognizable as Klingons to me. 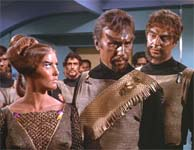 More importantly, their culture is virtually unrecognizable as Klingons. The prosthetics also make the Klingons look very un-expressive and makes it difficult to understand what they're saying. Oh, and they have a cloaking device? Ten years before "Balance of Terror"? And they take great pains to collect the bodies of their dead instead of just discarding them as empty husks? Ugh. 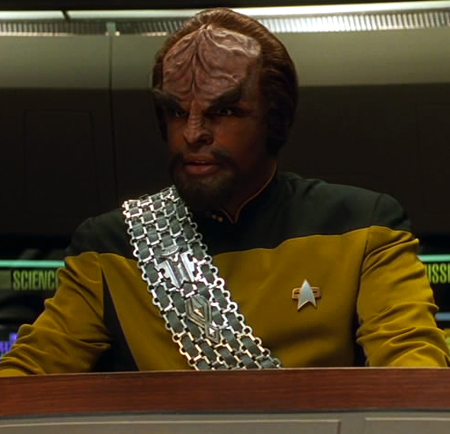 These Klingons could just as easily have been a completely new alien race. 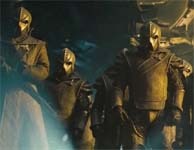 In fact, I was expecting them to turn out to be the Hur'q. 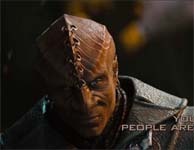 I kind of thought that Discovery was maybe going to answer the Klingon makeup question once and for all by actually depicting different subraces of Klingons. I expected that once the heads of the Klingon houses showed up, that each of them would have a different appearance, ranging from the Original Series' "mustached people in bronze makeup", to the more familiar TNG / DS9 ridges, and the new Geiger-esque space-Nosferatu Klingons. Nope. There is a lot more variety among the Klingons, but it's not any established looks. It's just yet another retcon to make things even more confusing. But what this makeup and design change does accomplish is to make the Klingons (and, by extension, the galaxy itself) seem mysterious, alien, and threatening. That's actually a bit of an interesting accomplishment, because Star Trek has been stale for quite a while now. The universe is so thoroughly explored that there just isn't that much that feels unknown. 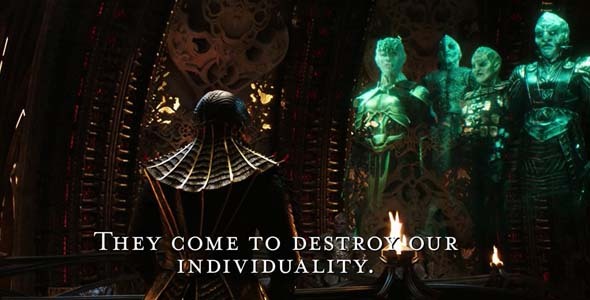 I'm hoping that this philosophy will carry over into more stories about peacefully exploring the galaxy, rather than the entire show being about a pending war with the Klingons. Despite the Klingon ships not looking even remotely like Klingon ships, the battle sequence at least looked slick. It would have been nice if the camera would stay focused on one thing long enough to actually see what the heck is happening, but shaky-cam and quick-cuts are the de facto techniques for action sequences these days. In fact, despite the uniform anachronisms, the show looks very good. Production quality is very high (which was a point of concern early on), and it's pretty obvious why CBS wants people to pay for this show, as there's no way it can keep up this level of visual polish with the budget of a weekly broadcast show funded by sponsorship. But I'm more concerned about the quality of the story-telling, rather than the quality of the sets, makeup, and visual effects. The battle scenes looked pretty slick -- if a bit rushed. The optimistic, forward-thinking Star Trek that I'd wanted? 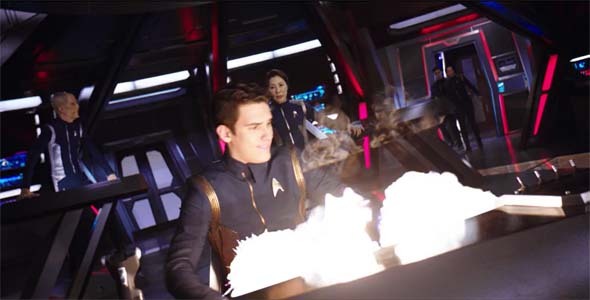 So now that I have most of the nitpicky, purist complaints out of the way, I have to say that I actually didn't hate the first two episodes of Discovery. In fact, I'm actually kind of excited to see the rest of the show that was previewed -- just not excited enough to pay for CBS' streaming service (especially if it still has ads), so a review of the rest of the show (at which point I might actually know how I feel about it) might take a while. Sorry. There's hints of the forward-thinking, optimistic ideal of the future that I want from Star Trek. Most of it was buried under a story about the kind-of off-putting lead character accidentally kick-starting the Federation-Klingon war that dominated the Original Series. But it doesn't come off as being an excuse for an epic battle scene -- in fact, the battle sequences go by rather quickly. Rather, the antagonists of that conflict do set up for a storyline that seems primed to present exactly the progressive cultural ideal that I'm hoping for -- but only if it's executed well. The Klingon fundamentalist cult antagonists appear to basically be the Klingon equivalent of militant religious fundamentalists (like the Islamic State) and / or white nationalists. This could be an interesting overarching story plot, and I'm curious to see where it goes and how thoroughly Star Trek smacks down those regressive ideologies. Hopefully, they'll pull it off with more tact than The Orville has managed in its early topical episodes. Unfortunately, the politics of the situation is where the show is kind of tetering. 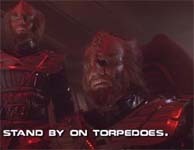 If the Klingons are simply threatened by the Federation's existence, and it's tolerance of other cultures, and the increasing influence of those cultures, but the Federation is respecting the Klingons' sovereignty (which seems to be implied by the 100-year lack of contact), then the allegory is apt. But what if the Klingons are actually reacting to genuine Federation imperialism? If so, then they (as a sovereign nation) should absolutely have a right to defend their borders and cultural identity. In this case, it would be a violation of the show's ethical foundation (the Prime Directive) for the Federation to impose its value-system on the Klingons, and the Federation would be the bad guys in this context. 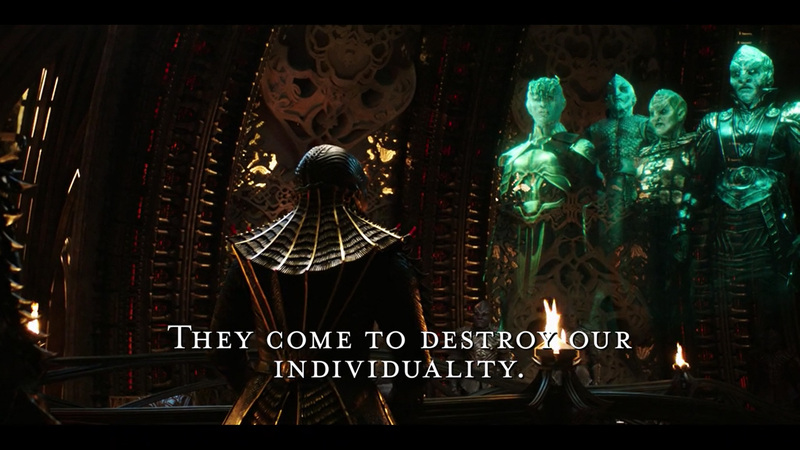 The Klingons seem to be a stand-in for white nationalists and religious fundamentalists. 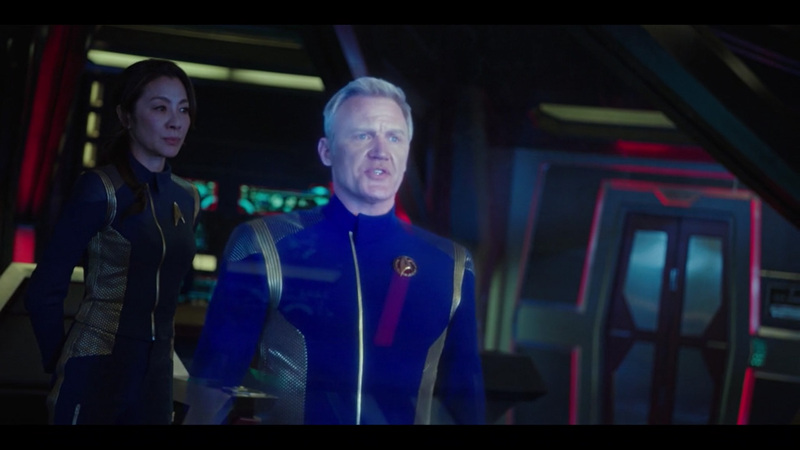 I like the idea of framing the show from the point of view of an officer rather than the captain of the ship. Sure, she's the first officer, so she's not very far separated from the captain. But that might change now that she's being court martialed for treason. 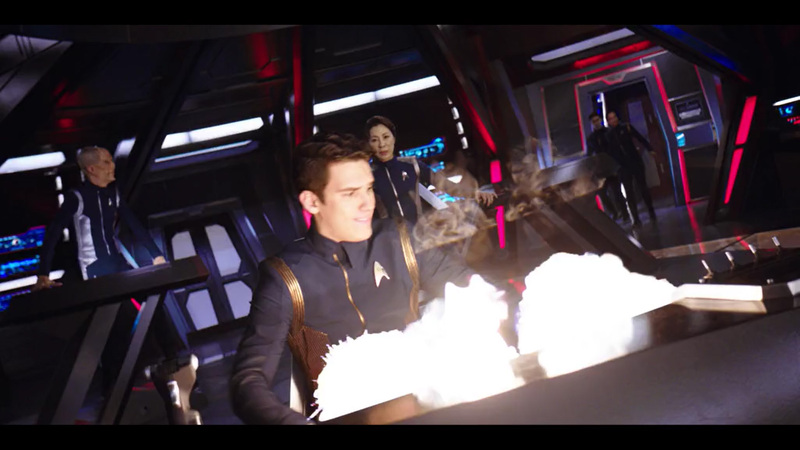 I would have preferred a show about regular crew members from the lower decks, but whatever. Her alien cultural identity is also an interesting twist, even though it seems like it might play out a bit too similar to Spock / Tuvok / T'Pol. I liked Lt. Saru a lot, and I hope that he's still a main character when we change over the the actual starship Discovery. I even liked James Frain as Sarek (putting aside the whole telepathy-across-light-years thing), even though I'm not happy with retconning that Spock had a human step-sister (thought retconning siblings for Spock is also something that is not foreign to Star Trek). Unfortunately, I don't really have a concrete opinion after just the first two episodes. There's a lot of stuff there that really frustrates me. The things that I did like are mostly things that I see as having potential for the future. I won't know if that potential pays off until I see more of the show. I just hope they stay away from time travel, fan service, and any Section-31 nonsense.